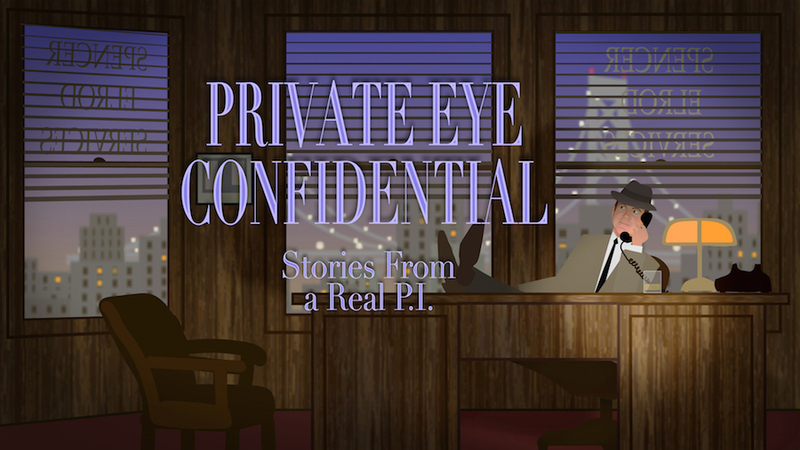 Pursuit Magazine Book Review & Excerpt: Private Eye Confidential: Stories from a Real P.I. In his new PI memoir, Mike Spencer’s storytelling flair unites with a trove of investigative field notes to produce a rollicking good read for the spy-curious. By its very nature, a private investigator’s job is a game of shadows. Outsiders crave a glimpse through the peephole at our day-to-day work lives. And for fellow PIs, the work is often so solitary, and so specific to any single investigator, that even the professionals often know little about their colleagues’ methods. 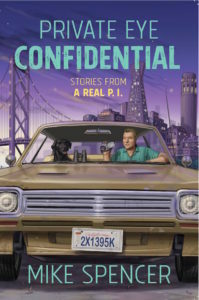 In his new PI memoir, Private Eye Confidential: Stories from a Real P.I., Bay-Area private investigator Mike Spencer pulls aside the curtain and offers a glimpse for fellow investigators and the spy-curious alike. As a J-school grad and former crime reporter, Spencer has honed his craft and cultivated a witty, streetwise voice that plays well as a conduit for his noir-tinged essays—which feature his best tales from the field and a wealth of candid explainers about how real PIs ply their trade. In some sections, PIs will glean useful information about everything from screening clients to building rapport with witnesses and the ethics of using information brokers (see excerpt below). In others, Spencer waxes philosophical about the joys and travails of reporting and investigating, or editorializes (without holding back) on investigative ethics, tactics, and the state of criminal justice. And every essay features funny and memorable tales from the trenches, told with the effortless, conversational dexterity of a born raconteur. When a case is going to play out in court, I avoid using any tactics that might be perceived as shady or underhanded or unethical. If I am expected to testify honestly about my methods, I won’t partake in questionable activities. When you are dealing with a criminal defense or a civil matter, there is no room for lying or shading the truth. You will be found out and embarrassed. I have nothing but contempt for any cop or expert or investigator who lies under oath. You either have professional integrity, or you don’t. Needless to say, I have experienced my share of friction with attorneys who didn’t like my honest testimony or my refusal to shade or quibble. For this reason, I find that I have more freedom to unleash resources in cases in which I am hired to locate a missing loved one or find a missing heir who might have money coming their way. My trick? Information brokers. They have access to information on employment histories, credit accounts, utilities, bank accounts, phone records, and so on. About the only things they can’t get are medical records and tax returns; obtaining those would be a felony. Still, I only use information brokers for good causes. Many private investigators and lawyers have been hung out to dry because they used information brokers in an attempt to win at all costs. For example, there was the infamous Hewlett Packard scandal, in which HP hired a law firm who used Action Research of Florida in order to identify the source of a leak to the press. The problem was that Action Research used pretexts to illicitly obtain phone records of reporters and others involved in the case. Confession: before all this hit the fan, Action was commonly used by private investigators, myself included, to get phone records. But the times and laws were changing. I stopped using Action because I could see that it was only a matter of time before the legality of what they were doing would come into question. Inevitably, the HP case made all the national papers and resulted in new laws. The father and son from Florida pleaded to aggravated identity theft and got three years’ probation, and the fallout left a wide wake. While I could still get someone’s phone records without a court order (illegally) through information brokers—everything is for sale—I choose not to, because a few thousand bucks is not worth a felony. In most cases, information brokers are not licensed as private investigators. They tend to be located in states such as Colorado, Texas, Missouri, and Florida with minimal oversight of private investigators and affiliated professions. My assumption is that they get their information through “inside sources” at utility companies, credit agencies, banks, and the like, as well as from “social engineering”—a euphemism for tricking employees into breaking security procedures and providing sensitive information. I am currently on about my seventh information broker, though I use a total of three of them concurrently depending on what I need. Of those I used formerly, one failed me three times. After charging me for no results for the third time, they sent me a pre-printed apology card and a couple chocolate chip cookies. Did they really have cards and cookies ready to send upon failing to deliver? Another information broker, this one located in Missouri, was producing great results. On one case where I was having difficulty serving papers to an elusive subject, the broker was able to tell me the precise shop where the subject regularly bought her wine. We served her, wine in hand. I had to break off relations with the broker when I ran my own background on him and uncovered his history of meth arrests, larceny, and child abuse. I went to Florida last year to meet with my latest information broker, a former collections executive for a major Las Vegas casino. A fellow P.I. had referred me to him. We met at a Cheesecake Factory near the Tampa Airport. (Remember, all shady—as well as good—meetings occur near airports; better yet, at bars near airports.) This broker is a short, balding guy in his late 60s, likes cigarettes and tennis, and wears gold jewelry. He has been in the information business for more than 15 years. I can give him a hotel room number, and he can give me the name of the person who paid for the room. He can also tell me what prescription medicine someone takes. 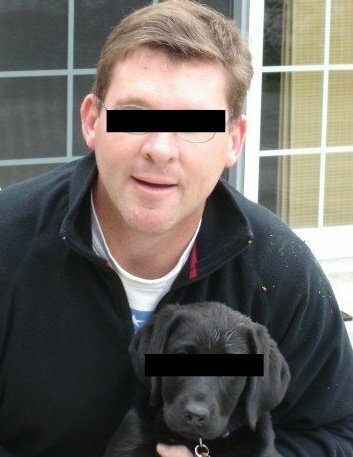 He confided to me that the federal justice department and other federal agencies use his services. All shady—as well as good—meetings occur near airports; better yet, at bars near airports. My big gripe with information brokers, though, is that they are the flakiest mothers under the sun. They pull the rabbit out of the hat by telling you where a certain someone buys their liquor but then on the next case they won’t return your call for two weeks rather than admit they have failed. They are brokers because they have their sources. But sources dry up; it’s a constant exercise to find a good broker. I do not mess with hacking email or with obtaining banking, financial, or medical records without a judgment, or with any avenues of research prohibited by federal and other laws. I suppose there are information brokers and private investigators who do such things, but it’s just not worth it to me. On the other hand, if a client does have a court judgment against someone, then I might contract out to a private eye who specializes in asset searches. Phone records are another area I steer clear of. In the old days many an unscrupulous P.I. or broker would simply pretext the phone company that their bill got rained on in the mailbox and request a new one. All of these avenues—banking records, phone records, emails—are powerful investigative tools, but due to their sensitivity most courts require subpoenas for such information. Private Eye Confidential: Stories from a Real P.I., by Mike Spencer, is available at Amazon.com.